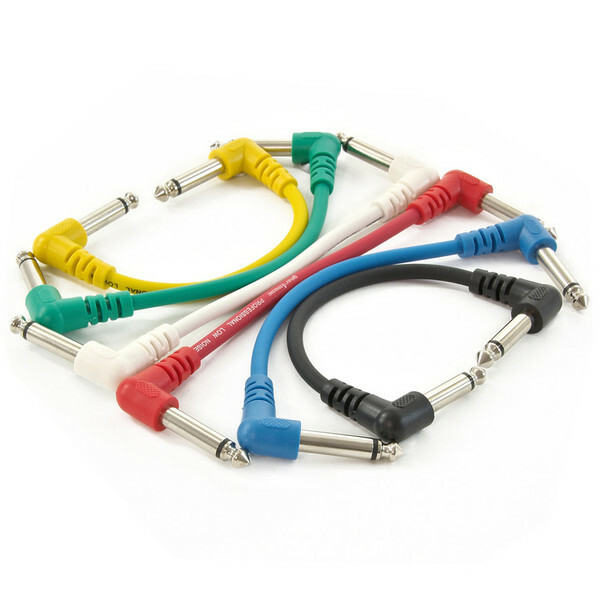 Pack of 6 Jack - Jack Patch Cables, perfect for guitar effects, pedal boards and studio patch bays. 30cm length is ideal for connecting effects without having excess cable cluttering your setup. Pro instrument cable with heat-shrunk ends. Cable: Pro instrument cable, 6.25 mm diameter.